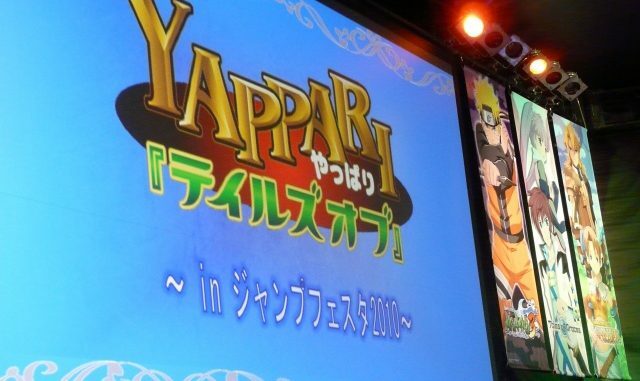 At the Jump Festa 2010 today, another "Yappari! Tales of" event was also held. 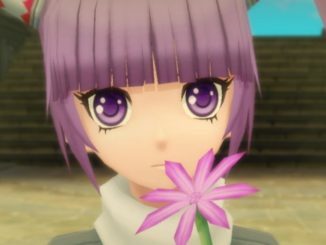 The short talk focused mostly on Tales of Graces and Tales of Vesperia PS3, revealing new costume downloads for both games. Present at the event were voice actors Toriumi Kosuke (Yuri Lowell), Takahiro Sakurai (Asbel Lhant), Kana Hanazawa (Sophie) and producer Hideo Baba. 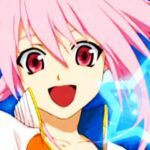 Beginning January 14, 2010, new costume downloads for Tales of Vesperia PS3 will be available. The new costumes are part of the "Namco Compilation Narikiri Costumes", featuring Vesperia's main characters in costumes of characters from Namco games. 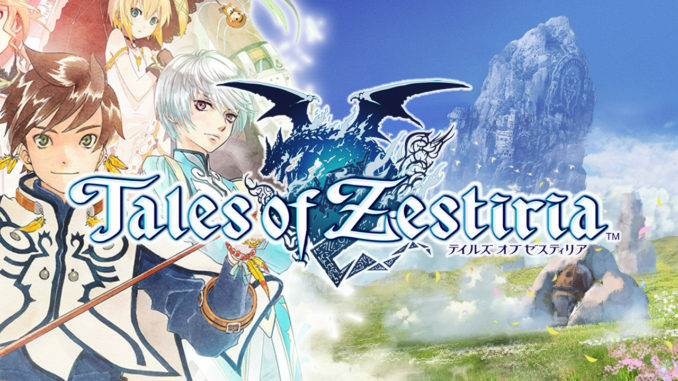 Those I can recognize are Karol as Klonoa, Estelle as Valkyrie, Yuri as Heishiro Mitsurugi (Soul Calibur), Flynn as Frederic Chopin (Eternal Sonata), Rita in what seems to be another Idolm@ster costume (correct me if I'm wrong), Judith as KOS-MOS (Xenosaga) and Raven as Heihachi (Tekken). No price yet for this upcoming download. New costume downloads will also be available for Cheria and Pascal in Tales of Graces. 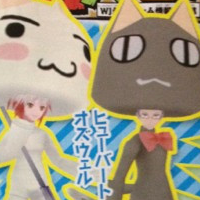 These new costumes feature original designs done by Mutsumi Inomata. 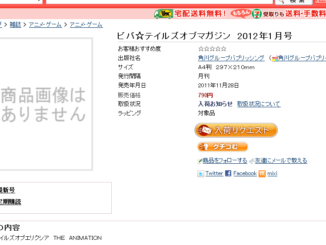 It will be available on January 20 according to Dengeki Online, but Famitsu didn't put up a date for it. 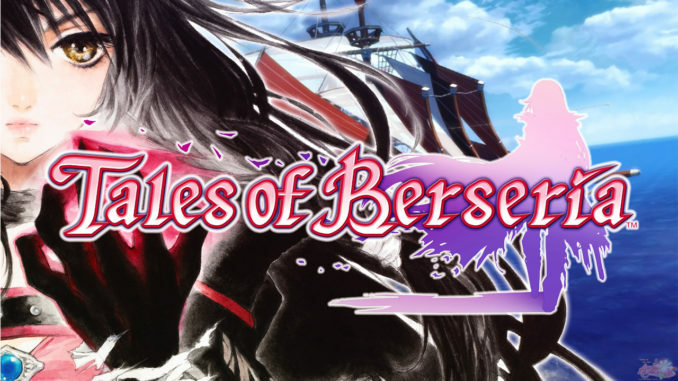 Lastly, the next Tales of Festival for 2010 has been officially dated. It will be held on June 5-6, 2010 at, again, the Pacifico Yokohama Convention Center. More pictures of the event can be found here.